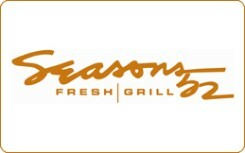 Darden Restaurants, Inc. owns (Red Lobster®, Olive Garden®, LongHorn Steakhouse®, Bahama Breeze®, Seasons 52®) and is not affiliated with Swagbucks.com. Darden is not a sponsor or co-sponsor of this program. Use of our restaurant names, logos or trademarks requires written approval from Darden. See backside of gift card for additional terms and conditions or visit www.dardenrestaurants.com/legal.asp.